Located just north of Houston, Spring sits close to a variety of large venues and events that businesses often attend to draw attention to their brand. 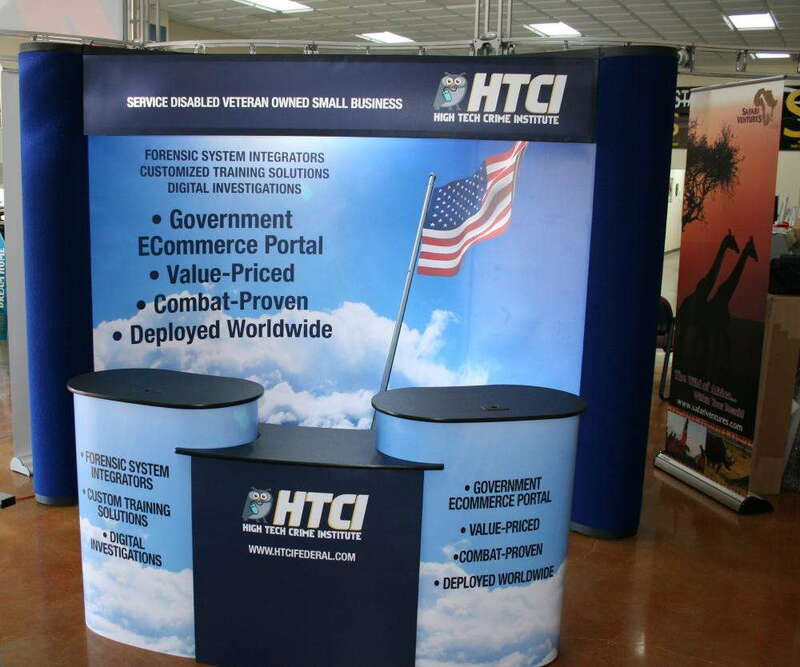 Showing up during occasions that feature dozens to hundreds of competitors requires a visually appealing, functional and portable trade show display that highlights the professionalism and boldness of your company as well as your products and services. SpeedPro Imaging The Woodlands is partnered with the nation’s biggest large-format graphics provider, which allows us to use cutting-edge technology and resources to create elegant, high-quality displays from the ground up. By setting up a top-tier trade show display, you’ll drum up the interest that your products and services deserve without stressing too much over durability or ease of use. No matter how often you hit the road, our visual communication experts will work closely with you to understand your challenges and help solve them. 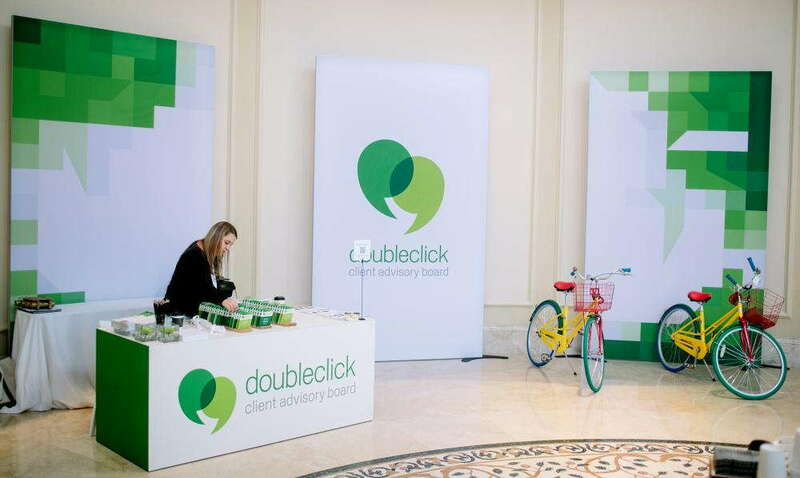 Once your vibrant pop-up trade show display booth is set up, you’ll have to start serving countless newly interested customers. 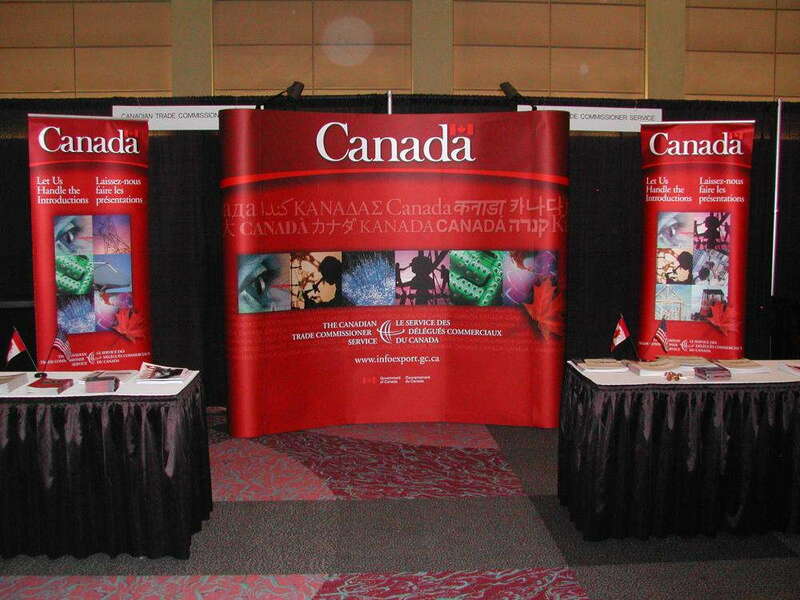 Banner stands: Retractable stands are extremely noticeable marketing tools, and they’re also portable. The stands are available in a range of sizes, styles and models. Styles we offer include retractable, spring-back and telescopic. Our three models include economy, standard and premium. The banners themselves can be single- or double-sided. Hop ups: Hop ups also offer exposure without sacrificing functionality. 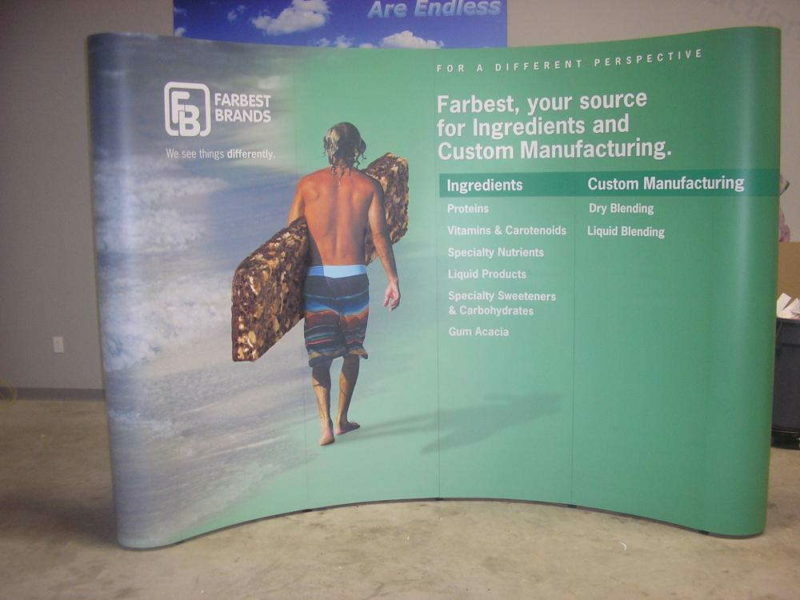 Use these lightweight kits as trade show backdrops or tabletop displays. They require no tools to set up, and conversion can take place in mere seconds. Point of purchase (POP) displays: If you want to provide customers with an interactive environment that allows them to familiarize themselves with your company and its products, POP displays are an excellent place to start. We offer fabric walls, backlights, attachable shelving, monitor stands, kiosks and many other elements to form comprehensive packages. Table toppers: With our custom table toppers and runners, you can complement your big-ticket graphics with subtle nods to your brand. Our round-table formats include fitted and stretch throw. For rectangular tables, we offer convertible and imprinted table throws. Other options include multiple-level, curved and multiple panel. Tents: Outdoor events often present different challenges, like a much more wide-open atmosphere and various unpredictable weather conditions. Tents can address both concerns. They’re available in a variety of sizes, as well as three styles: inflatable, tubular and popup. We have other options too, so you won’t be left disappointed. We’ll use expert color-matching practices to keep the appearance of every element synchronized. If you’re ready to set up your consultation, get in touch with us right away. You can also visit our studio, which is located at the intersection of Pitkin Road and Woodline Drive, just off I-45, at the Rayford/Sawdust exit.